Hello Kitty Necklace - Perfect Gift or Stocking Stuffer! 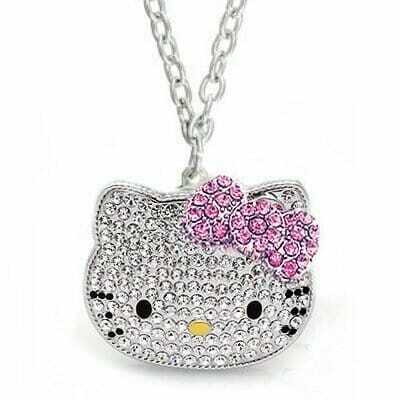 Hello Kitty Necklace – Perfect Gift or Stocking Stuffer! We posted a good deal for a Hello Kitty Silver Plated Crystal Pendant Necklace with Pink Bow the other day – and it was a big hit! Had a reader looking for it this morning, and it’s out of stock. BUT … we found another one for you! Grab this one for just $14.99 plus Free Shipping for Prime Members! Perfect as a stocking stuffer for your little kitty! 😉 Necklaces similar to these sell for over $40 at other retail stores! « Kids’ 20″ Huffy Bikes for As Low As $39!